U. S. Air Force photo. 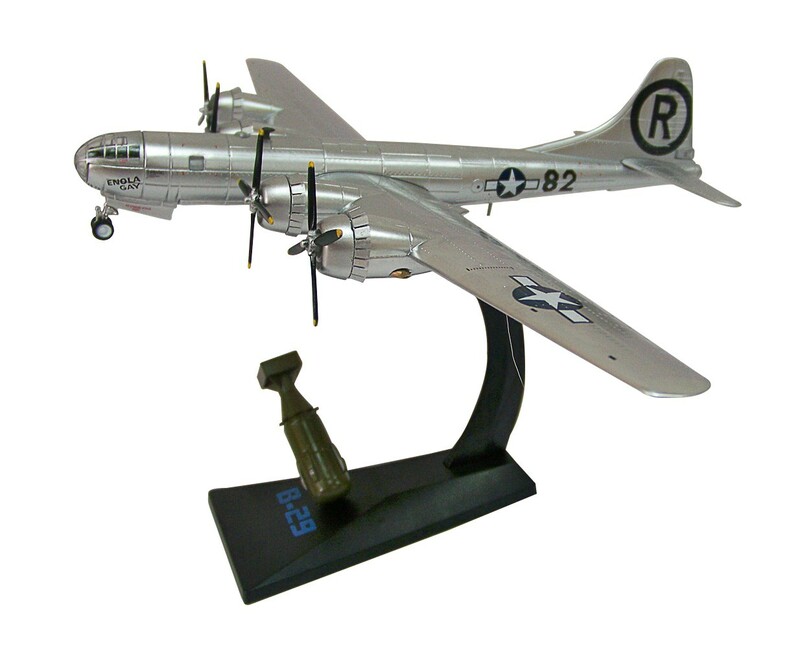 On August 6, 1945, the Enola Gay B29 bomber flew over Hiroshima, Japan, and dropped the world's first atomic bomb. 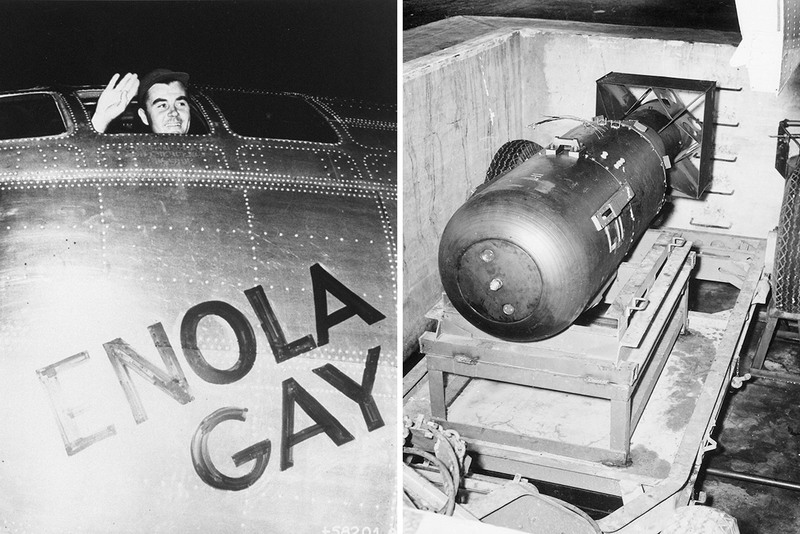 Three days later, the U. S. dropped another bomb on Nagasaki. The Enola Gay is a Boeing B29 Superfortress bomber, named for Enola Gay Tibbets, the mother of the pilot, Colonel Paul Tibbets, who selected the aircraft while it was still on the assembly line. 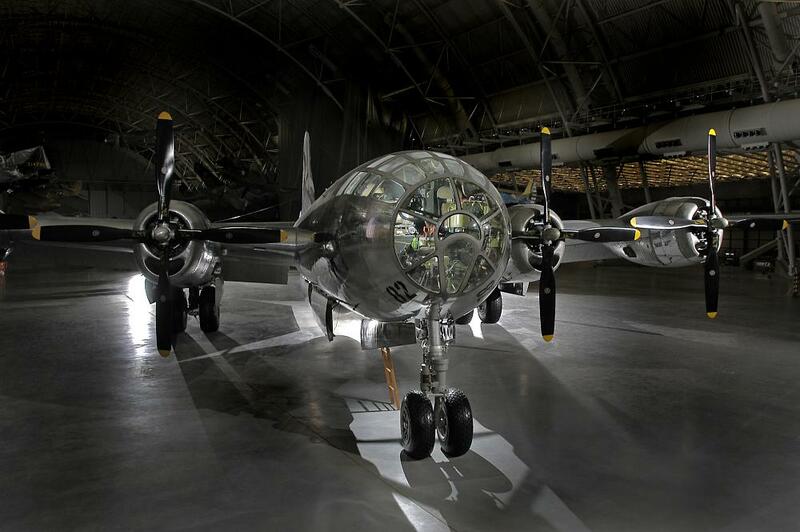 On 6 August 1945, during the final stages of World War II, it became the first aircraft to drop an atomic bomb.